Carl could not help but chuckle to himself as he poured his cold coffee into the dirt. Just a few months ago, the idea of a second American civil war would have been inconceivable. Now, not only did it seem imminent, it also appeared that the first battle would take place at his gas station. He shook his cup out and looked up toward the sun. It wasn’t just hot…it was Texas hot. Carl wiped the sweat from his brow with an orange rag and walked back to the comfort of his store. He laid his rifle on the counter and poured himself another cup. From the way things were going, it was going to be a hot day indeed. Carl Lamonte had lived in San Antonio his entire life. His father had been a wildcatter in Abilene and his grandfather a rancher. Carl had started out on the drill rigs, but soon realized that 100 degree summers on the Texas prairie were simply not his cup o’ tea. So, right after high school he started pumping gas and doing odd jobs at Phil’s Fuel Stop on the edge of town. Phil was a nice ole’ fellah by everyone’s description, and had been in business selling gas to tourists, truckers, and travelers of every make and model for over thirty years. Phil was immediately impressed by Carl’s eagerness to learn, and within just a few months was teaching him everything he knew about the business. Carl loved working at the station, and turned out to be a natural entrepreneur. He was constantly approaching Phil with new ideas for attracting customers and increasing sales. One day Carl showed up to work with an old battered soda machine that he had purchased for 10 dollars. Over the course of a week, Carl had it cleaned up, running, and full of ice cold RC Colas. Soon new “gadgets” were turning up everywhere. After a few months, Phil’s Fuel was strewn with newspaper boxes, candy machines, and beef jerky racks. Once Carl had even talked a nearby farmer into bringing a pony to the station to give kids rides for 50 cents a pop. Everything was going fine until a tank truck pulled up and the pony took off across the prairie with a disgruntled 10 year old boy flopping around on top. Phil was a gas man and understood none of this, but he admired Carl’s drive and humored most of his “hair brained” ideas. The facts were undeniable though. Ranchers that Phil had watched drive by for years, were now stopping in every once in a while to get an ice cold RC and some jerky. As the years passed and cars became more reliable, and more complex, Phil’s garage work dropped to nearly nothing. Once again Carl saw an opportunity, and talked Phil into leasing him the three garage bays that now stood empty next to the station’s office. Phil agreed, and gave Carl a five year lease for next to nothing. Carl sold his family home and property to a local rancher and used every last cent to convert the garages into a convenience store and coffee shop. Carl did most of the work himself, and had the store open for business 6 months later. For the next year he worked tirelessly running the register, flipping pancakes, doing the dishes, stocking the shelves, and handing out fliers. Without a penny to his name, he slept in the stockroom at night, and ate whatever wasn’t selling. Business continued to grow for about 8 years, and life was good for the fill ’em and fuel ’em team. Carl was finally starting to realize some return on his years of hard work. He bought himself a small ranch a few miles from the station, found himself a gently used F-350, and decided to hire a couple of employees to help run the place. Then, just as things had really started rolling, tragedy struck. One scorching hot August afternoon Phil drove home, kissed his wife Elna, sat down in his chair to read the mail, and died. The doctor said that he had passed from a massive brain hemorrhage and had not suffered. Carl was thankful for that. Phil had provided well for his wife, and she wanted nothing to do with the gas station. So, Carl bought Phil’s share and went it alone. It was hard at first, because Phil had always managed the fuels. Almost immediately Carl realized that it wasn’t nearly as easy as flipping pancakes. Buying and selling fuel was a real hit or miss type thing. As an independent dealer, Carl had to negotiate with a number of local suppliers. You had to buy in bulk loads as cheaply as you could, and then sell it at a price that you thought would cover the next shipment. If you were lucky and hit the numbers just right, you could make a nice profit. If you missed the mark however, you could lose a lot. After 40 years in the business, Phil had been a master at this. Carl, on the other hand, had a lot to learn. He missed Phil terribly. Despite Carl’s early misfires in the fuel business, the station continued to grow. It was now a popular stop for truckers on the Interstate, and he had a steady stream of long-haul regulars. His personal life took a turn for the better as well when he met his wife Katie. He had always wanted a family of his own, and a year after their wedding he got his wish when their twin boys Cade and Cody were born. Wanting to spend more time with his family, he hired a manager for the Fill and Fuel and started focusing on being a dad. One day while he was in his office doing payroll, a couple of men in suits walked into the store. They were from a larger truck stop franchise and were interested in talking to Carl about buying his place. He had a perfect location near the Interstate, and apparently he was outselling all the the other establishments in his area. Almost out of the blue, one of the men tossed a number on the table that made Carl nearly fall out of his chair. If he took the deal, his family would be taken care of, and he would never have to work another day in his life. After thinking about it for a few days however, he decided to pass. There was still a lot he wanted to do to the place, and wasn’t ready to give up his life’s work. Besides, if it was worth that much now, he could only imagine what it would be worth when he was through with it. He was happy, healthy, successful, and a father. What more could he ask for? Unfortunately, a thousand miles away in Washington, “change” was in the air. The first blow came in 2011 when Congress let the Bush tax cuts expire. Carl had never incorporated and, as a sole proprietor, his tax rate increased by 15% overnight. It was a devastating blow. The recession of 2009 had already cut his sales by 30%, and the new taxes just made things worse. The larger chains looked at the tax hike as an opportunity to drive some of the independents out of business, so they ate the tax increase for a while to keep their prices artificially low. Carl could not afford to do this, and was forced to price his fuel a full nickel per gallon higher than some of his competitors. Business slowed even more, but stayed steady thanks to many loyal customers. For the first time in over 20 years however, Fill and Fuel was losing money. In order to keep the tanks full, Carl had to let 4 of his long-time employees go. Next to Phil’s death, handing out their pink slips was the most painful experience of his life. Carl was not alone however, thousands of companies across the state were having to make similar decisions, and soon unemployment numbers began to climb well above 12 percent. The people of Texas were furious at the tax hikes, and tea parties around the state began to cry for secession. At first they were dismissed by the mainstream as far right loons but, as time went on, the protests got larger and louder. In 2012 the second blow came in the form of Cap and Trade. Congress rammed it through against a massive grass roots protest with the help of three or four turncoat Republicans. Overnight, fuel prices skyrocketed to 6 dollars a gallon on sheer speculation. Again, as an independent dealer, Carl did not have the purchasing power that his larger competitors enjoyed, and started losing more and more money on every gallon of fuel he sold. He mortgaged his home and took out an equity loan on the station to keep the cash flowing, but eventually had to lay off 3 more employees including his two shift managers. Once again, Carl found himself putting in 18 hour days just to keep the place in business. Cap and Trade had all but devastated the national trucking industry as well – especially the little guys. The smaller truck lines and independent owner-operators did not have the capital to buy the carbon offsets necessary to keep their rigs on the road, so they simply started shutting down. Within three months of the law’s implementation, Carl’s truck business dropped to almost zero. He was still getting a steady stream of car business, but the simple fact was that he could not fill Kia gas tanks fast enough to pay the bills. Texans were infuriated by the administration’s eagerness to sign Cap and Trade into law, and had challenged it in the Supreme Court with 15 other states. The newly liberal court however, shot down the lawsuit on the grounds that Cap and Trade was constitutional under Interstate Commerce. 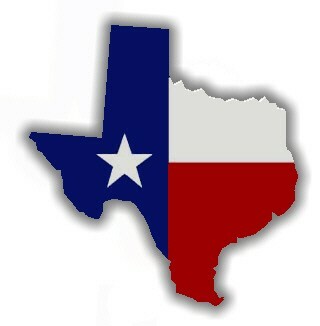 On the day that the decision was announced, cries rang out across Texas once again for secession. Texas flags flew from every window across the state, and several federal offices in Dallas and Austin were vandalized by angry mobs. Trucks in the hundreds parked themselves around the state capitol building blocking traffic for weeks, practically bringing the city to a standstill. The Governor held an emergency meeting with the Legislature and, along with 4 other states, sent a letter to the federal government stating their concern for the nation’s welfare and reaffirming their commitment to protecting the welfare of their citizens. Then, as if to poke the nation in its collective eye, late in 2013 Congress passed an 8% national Value Added Tax (VAT) to cover the wildly out of control national debt and help pay for escalating health care costs. The VAT had been an add-on buried in a new economic stimulus bill. The 4,000 page bill was signed into law by Obama only a week after it had been introduced, and the language authorizing the tax had been cleverly hidden in a paragraph on page 3,015. Neither the press nor the Republicans had caught it in time. Once again fuel prices skyrocketed on speculation, and within a matter of days topped 8 dollars a gallon. Business at Carl’s place dried up to nothing. The once busy Interstate now looked like a back country farm road. One San Antonio reporter noted that, on some stretches of highway, one could sit on the centerline and eat lunch without fear of being run over. Again, cries arose for secession across the state. Businesses were closing by the hundreds due skyrocketing overhead costs and poor demand. Carl could no longer pay the mortgage on his home, and was forced into foreclosure. He moved his family into his in-law’s ranch, laid off the rest of his employees, and closed the diner. Once again, he found himself penniless and struggling to survive a day at a time. Things were not much better anywhere else. With an unemployment rate of over 17%, the state of Texas found itself in the middle of an economic crisis that it had not created. Violence began to break out in some of the larger cities, and people out of work began to line the streets of Austin demanding that Texas reclaim its status as an independent sovereign nation. The Governor had no choice but to call a special session of the Legislature together to discuss their next move. After two weeks of heated debate, they sent a second letter to the White House. In it they notified the President that the Republic of Texas would no longer recognize the new VAT, and would not compel any of its citizens to pay it. The letter also announced that federal Cap and Trade regulations would not apply to businesses operating within state borders. It closed with a stern warning that any attempt by the federal government to hold any Texas citizen liable for these taxes would result in Texas’ immediate secession from the Union. The national press was abuzz. Pundits on the major networks took sides and started arguing the constitutionality of Texas’ bold move. Many were critical saying that the Civil War had clearly established that secession was illegal, and that the entire Texas Legislature should be arrested on federal charges. Others however, pointed out that nowhere in the Constitution did it state that the Union was permanent, and that many states did in fact have clauses in their constitutions reaffirming their right to secede. As the debate raged on, the White House was eerily silent on the matter. Press secretary Robert Gibbs refused comment when queried, and Obama all but dropped out of sight completely. Weeks, then months, went by without any federal response – and the silence was deafening. Carl felt his face flush. His heart begin to race in his chest. “They can’t do that can they?” he asked under his breath. All of a sudden, he felt a surge of pure rage. He and Phil had built this truck stop with their money and their sweat! He had slaved and starved for years to make something for himself, and he was not about to let any damn Washington bureaucrat come in and take it. How dare they! Early the next morning, Carl called the Governor’s office and told them about what he had received. Apparently thousands of businesses across the state had received similar letters on the very same day, and the Governor’s office had been inundated with calls all morning from frantic Texans. Carl hesitated and looked down at his letter. There was a pause on the phone. “Are you sure sir? “Like this?” Carl queried trying not to sound as confused as he felt. Carl let the phone down from his ear. It was now perfectly clear to him what was happening. The feds were going to come into town, seize his property, and haul him off to jail on national television. They were going to use him to show the rest of the state what was coming if they did not get back in line. Once again Carl felt a tide of rage rising in his chest. He put the phone back to his ear. “You tell the Governor, that if they want my business they will have to step over my dead body to take it!” he yelled at the shocked staffer. How Green is Your Job? The popular definition promoted by the current administration has always been jobs in the renewable energy and energy efficiency industries. This would include solar cell and wind turbine manufacturers as well as a number of energy efficiency companies such as window and insulation manufacturers. This conventional definition however, seems to leave out many “other” green jobs, such as the nuclear power and clean coal industries. 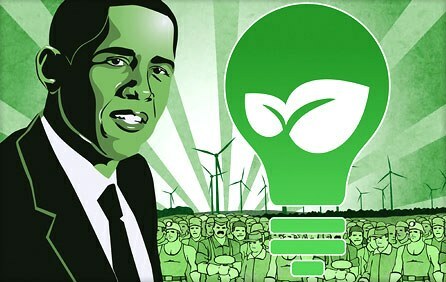 By all accounts it seems that, despite the billions Obama is investing in them, there is still no widely accepted definition for green jobs. In fact, Head Muscle contends that a job’s greenness is not a binary attribute, and that there are already many jobs out there operating at varying shades of green. All considered, to one extent or another, many of us may already be unsung green heroes! For example, let’s accept for the sake of argument that a solar cell manufacturer is green by Obama’s definition, and that the renewable energy company that uses the cells is green as well. What then about the trucking company that transports the new solar cells across the country from the manufacturer to the customer? Certainly the diesel truck pollutes, but without it the cells would never be distributed and utilized. So, one could logically say that the trucking company, though polluting, is somewhat green in nature…maybe something in the “olive” category. 1. Read each question thoroughly and answer True or False to the best of your ability. 2. For every question that you answer as “True” add or deduct the number of points specified at the end of the question. 3. Your starting score will be -100 due to the fact that breathing introduces CO2 into the workplace. 1. If you scored 1000 or higher your job is emerald green and you are serving both the godess Gaia and Al Gore well. Congratulations! 2. If you scored between 0 and 1000, your job is “greenish” but you need to take the next step and sell your Ford Hybrid for a better quality GM. 3. If you scored between -1000 and 0, your job is still part of the problem and you need to consider either taking a government position, or unionizing. 4. If you scored below -1000 you are a greedy, earth-killing, profit-oriented, conservative Neanderthal . Your job is as brown as it gets, and you should really consider having a fatal accident with your lawnmower. Your only hope is that, on the day of great judgement, Al Gore will have mercy on your wretched soul. Even though we have gone to great effort to ensure that the above questionnaire incorporates current progressive values to the fullest extent possible, we admit that green jobs are still somewhat subjective. It is our hope that, by using the above questionnaire, readers will better understand where they are on the spectrum of green jobs, and use it as a guidepost for ensuring that they are living their lives in accordance with the current administration’s vision for our country. It is our hope that, over time, most people will move from olives to teals and into deep forest green jobs. If not for yourselves, do it for Al and Gaia.